Very early this morning, I roused myself from bed to go to my friend’s high-rise condominium that overlooks the city for an opportunity to shoot city skyline. 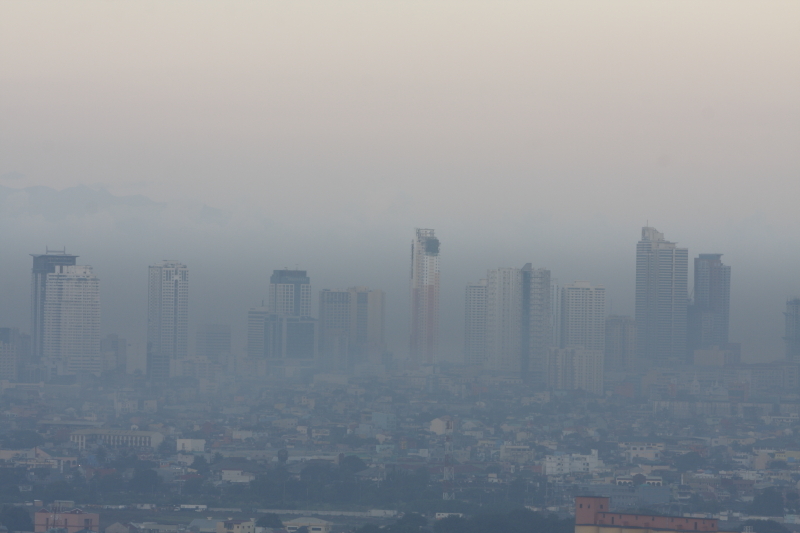 I thought that the long weekend of November 1 to 4 lowered the pollution level in the metro. Therefore, a sunrise shot would probably be good. Lo and behold, this is what I saw in an early morning shoot. Shot at 6:03:53, November 05, 2012. Canon 40D, 70-200mm f/11, set at 170.0mm.